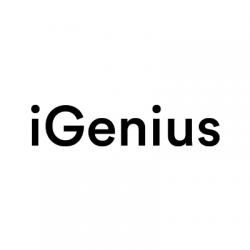 iGenius is a fast-growing, innovative digital company. We operate internationally with offices in Milan, London and San Francisco and soon we will be connected to R & D centers worldwide integrated with leading universities/academic institutions. We work on the latest technologies with world-class engineers and scientists all over the world. We are very proud to work on crystal.io, our software designed to turn complex big data into smart, relevant, insightful and tailor-made information for digital marketing and business intelligence purposes.